We are delighted to announce that Appellate Innovations was voted "Top 3 Appellate Services Provider for 2017" by readers of the Connecticut Law Tribune for the second consecutive year. This prestigious annual poll recognizes the best providers of services and goods to the legal profession. A big thank you to everyone who voted for us! Click on the image to watch a fun video which describes our eBrief service... included at no additional cost with every printing engagement with Appellate Innovations. We understand that strict adherence to deadlines is critical to the success of your appeal. You can typically expect your draft record or appendix within 48 hours. Our complimentary CourtWatch™ and CalendarWatch™ services ensure that you are prepared and ready to shine when your appeal is before the Court. Our team of experts possess decades of industry experience. We have helped attorneys and law firms with more than 20,000 appellate matters, so we know all there is to know about the appeals process and the nuances of each court. Employing a customized and highly results-oriented approach, our appellate experts take an in-depth look at all aspects of your appeal. We offer cost-effective strategies and options aligned with your appellate objectives. Busy litigators appreciate our ability to clarify issues and to suggest efficient remedies when complex situations arise. Deadlines, subpoena applications, cross-appeals, alternative appeal routes, remediation, extensions of time… we don’t wait around for problems to arise. Our extensive experience means we spot bumps in the road ahead before problems arise. Our monthly newsletter is designed to help you navigate common appellate pitfalls while staying up to date on the latest news and rule changes. 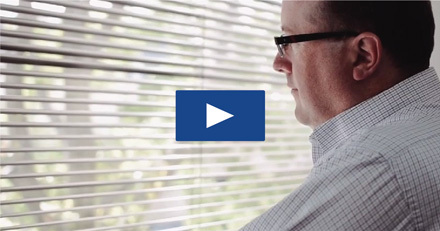 Click on our short video to learn more about the Appellate Innovations team. Delivering timely and accurate advice to our clients for 10+ years.